After midnight on November 21, 2018, a St. Johns County jury returned a huge jury verdict against University of St. Augustine for six students victimized by negligent misrepresentations about an unaccredited orthopedic assistant graduate program. This case was a story assiduously covered by Jake Martin, now himself a journalism graduate student in New York, where is girlfriend is also a journalism student. Blowing the years of coverage invested in this case, the St. Augustine Record printed a story a week after the post-midnight verdict. The Record blew an opportunity to coverage a rare civil jury trial involving big damages against a local sacred cow. After midnight on Thanksgiving Eve, a St. Johns County jury returned a $2.7 million verdict for six students against a local educational institution for negligent misrepresentation, awarding damages for costs of attending school, lost past and future wages and emotional distress. No Record reporter attended and took notes at the 12:10 AM verdict, or any of the trial proceedings. The trial lasted ten days. A week later, the Record printed a dull story lacking in details, on a subject its former reporter Jake Martin had written numerous informative well-researched page articles. Q: What kind of "reporter" and what kind of "newspaper" failed to attend and provide daily coverage of a negligent misrepresentation case against University of St. Augustine, a local sacred cow? GateHouse is cheap on overtime, but what a dramatic series of articles there would have been if the Record had attended and taken notes, as when founder Stanley Paris and other witnesses testified. What a lost opportunity to inform readers about how civil litigation works, or to cover what may be Circuit Court Judge J. Michael Traynor's last major jury trial before his upcoming retirement at age 70. Coverage would have raised reader consciousness of white collar crime and corruption in education, and improved upon the thorough education about education we Record readers received reading Jake Martin's stories. Among the witnesses were University of St. Augustine for Health Sciences founder Stanley Paris, who was a management representative sitting at counsel table. Since the school was bought by an international chain, among those serving on the parent firm's advisory boards was former President Bill Clinton. If some of us had known this trial was ongoing, we would formed a car pool and gone to watch a ten day jury trial in a complex case about students euchred into a program with no job prospects in Florida. The late conservative U.S. Supreme Court Chief Justice William Rehnquist called the right to civil jury trials "a bulwark against oppression." But civil jury trials are in danger, thanks to settlement pressure, rule changes and mandatory cramdown arbitration agreements hidden in contract fine print, even in employment contracts formed as contracts of adhesion when you file a job application. The Record neglected its duty to inform its readers about civil litigation. Swayed by putrid propaganda from Big Business, tortfeasors, insurance companies and their defense lawyers, many of our St. Johns County residents are utterly uninformed about the civil justice system and how it protects their rights. The Record keeps them thattaway, having never in the 20 years I've lived here bothered much about the Courthouse except in criminal cases (and even then increasingly rarely unless there's a bloody body or other criminal case). As J.D. Pleasant once told em, if you want a secret kept in St. Augustine, tell the St. Augustine Record. 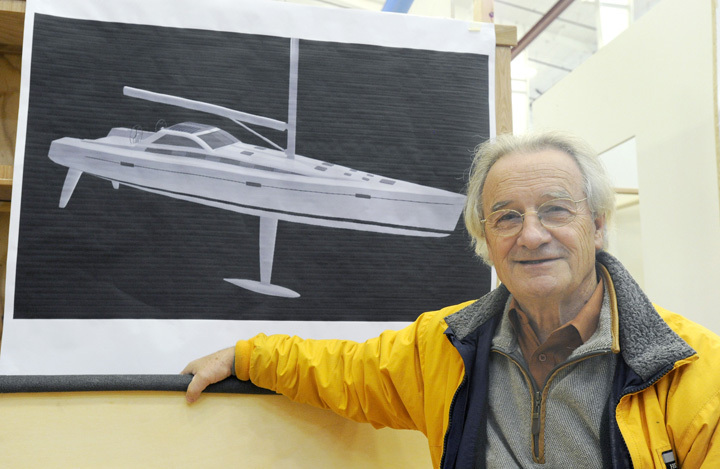 Paris several times attempted several times to solo yacht around the world -- he came closer to that goal than the Record does fulfilling the Founding Fathers' intentions in writing the First Amendment. Next time there's a big civil jury trial in St. Johns County Courthouse, will the Record kindly promise to tell us as it happens? The University of St. Augustine could be on the hook to pay more than $2.7 million in damages to six former students who were involved in a now-defunct program that the students said the for-profit school misrepresented in order to get them to enroll. In each individual case, court documents show, the jury found that the University of St. Augustine for Health Sciences LLC made negligent misrepresentations about the Master of Orthopedic Physician Assistant Program, a program with a tuition price tag of more than $70,000. “It was definitely a David vs. Goliath situation,” said Kevin Jakab, founder and managing attorney at Jakab Law in Jacksonville who represented the students. Launched in May 2011 on the school’s St. Augustine campus, the program was packaged as a two-year graduate program consisting of instructional and clinical study. Months before the program’s inaugural class graduated, USA informed students and faculty that the program’s name would be changing to Master of Orthopedic Assistant as the “orthopedic physician assistant” profession was not licensable in the state of Florida. Students questioned whether their investment of nearly two years and more than $100,000 in tuition, fees and living expenses would be worth a degree granting them no more freedom to work in medicine in Florida than what’s allowed with a high school diploma. A civil lawsuit followed in 2013. The jury found the university did not conceal any material facts concerning the program, according to court documents, but recommended the university reimburse the plaintiffs the cost of the program, compensate them for past lost and future wages along with compensation for mental anguish. Six plaintiffs — Michelle Hemingway, Holly Wheeler, Christina Mollica, Lauren Hofius, Elihu Watts and Dustin Janzen — were part of the civil lawsuit. The jury reached its verdict on Nov. 21, Jakab said. Hemingway’s was the only case in which the jury found clear and convincing evidence that punitive damages were warranted, but Judge Michael J. Traynor ruled that punitive damages were not warranted and issued a directed verdict, Jakab said. Jakab said he hopes to get a final judgement in the case from Traynor, who is scheduled to retire in December, or a replacement judge as soon as possible. A similar case involving two more former St. Augustine University students is pending and could go to trial early next year, Jakab said. We in the "reality-based community"welcome the majority of Republicans to the ineluctable truth of climate change. As Governor RICHARD LYNN SCOTT once said, "Let's get to work." With the inauguration of John Valdes on December 1, 2018 as St. Augustine's newest City Commissioner, it's time for some real broken-field running. Led by Mayor Nancy Shaver, can the City of St. Augustine become a local, regional and national leader on adaption and resiliency, starting with support for adaptation areas, susceptible of being included in the St. Augustine National Historical Park and National Seashore? President Donald Trump has made some undeniably galling claims about climate change over the years. From his assertion that climate change was a hoax created by the Chinese government, to his comments on cold weather snaps somehow proving that climate change wasn’t real, the President has stubbornly stood by his denial of climate change science. Then, as we reported last week, Trump denied the findings of a shocking climate report released by his own government. This week, after being asked about the Congressionally mandated climate assessment, the President said he didn’t believe it, even going so far as to suggest that he was too intelligent to accept the report’s findings. What is confusing about the President’s comments on the new report is that a group of federal agencies conducted the assessment and the findings focus heavily on the economic ramifications of climate change. 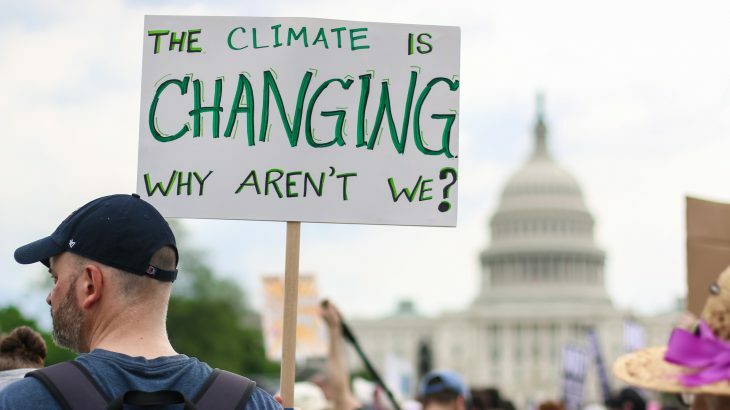 However, as the President stubbornly refutes even the slightest mention of human-made climate change, a new poll shows more and more people agree with the realities of climate change. The new Monmouth University poll found that 78 percent of the general population agrees that climate is happening, compared to 70 percent three years ago. The poll even found that 64 percent of Republicans think that climate change is real, compared to 49 percent three years ago. According to The Guardian which reported on the survey results, the poll shows that the President and his administration are now at odds with the majority of people who understand the ramifications of climate change, including members of the President’s own party and base. On Tuesday, December 4, starting at 9:00am in The Alcazar Room of City Hall, located at 75 King St., the St. Augustine City Commission will hear a presentation from the professional consulting firm HNTB about the findings of the Vehicle for Hire study conducted in 2017. Additionally, an update on the coming King Street Complete Street Master Plan will be given including overview of the project and tentative schedule. The project is set to begin in the first part of the new year. For additional information, contact the Mobility Office at 904.209.4211 or send an email to Mobility@CityStAug.com. Visit the Mobility website at www.CityStAugMobility.com. Christmas won't be the same without her. Lincolnville won't be the same without her. I miss her already. Her "soul fire," as Andrew Young would call it, was contagious. In the early 1990s -- at a time when St. Augustine was still smeared, bleared and teared by "an invisible vapor" of segregationist history -- Carrie Johnson moved back here. She promoted healing and brotherhood, every day, in every single way. I shall always fondly remember one night seated by her, in a rally and a moment that changed the course of our history in our Nation's Oldest (and Oddest) City. Background: During 2005-2006, controversial St. Augustine City Manager WILLIAM BARRY HARRIS and his henchmen dumped a landfill in a lake -- contaminated solid waste was illegally dumped in our Old City Reservoir. In late 2006, taciturn, laconic City Attorney James Patrick Wilson quit his job, later stating publicly, "I worked there for fourteen years. They dumped a landfill in a lake. They didn't ask me. They didn't tell me. So I figured it was time to move on." It was Environmental Racism at its worst. Unjust stewards in our City and State wanted to dump 40,000 acres of contaminated solid waste on public land at the south end of Lincolnville, plop dirt on to and call it a "park." We, the People, organized, resisted, litigated and stopped this unethical scheme. The waste is now in a Class I landfill in Nassau County. The hare-brained scheme was on the advice of malfeasant City Attorney RONALD WANYE BROWN and AKERMAN SENTERFITT attorneys and the Florida Department of Environmental Protection (DEP stands for "Don't Expect Protection," as David Thundershield Queen put it best). Louche lawyers tried to euchre us. Residents were not believing them and then-assistant City Manager John Patrick Regan, P.E. conceded was a "counterintuitive" scheme -- on orders of City Manager WILLIAM BARRY HARRISS, who gave orders not to agree without a court order to dump the waste in a Class I landfill, no matter what. Seven of us challenged HARRISS in an administrative complaint, then pending before the Florida Department of Administrative hearings, defined by polluter lawyers WILLIAM PENCE and THOMAS O'NEAL INGRAM from AKERMAN law firm. Flummoxed, the itty-bitty-City, through then-Commissioner ERROL DONLEDY JONES, said it would drop this plan, to applause from the assembled multitude filling an hours-long meeting at St. Paul A.M.E. Church. After that, I carefully wrote a legible note to Carrie, asking her to lead the crowd in song. There was not a dry eye in the church. We ALL sang, "WE SHALL OVERCOME." St. Augustine’s most beloved citizen passed away at 7 a.m. Tuesday. Carrie Johnson was 83 years old. I had a phone call from her daughter June Lester that her mother had been under Hospice care for lung cancer. “The Voice of Lincolnville” or “Miss Carrie,” as she was widely known, had been a prominent figure in the community since she returned to her childhood hometown in the early 1990s after the devastation caused by Hurricane Andrew to Miami, where she had lived for many years, raising a family and worked as a teacher’s aide. Always entrepreneurial, she used her extraordinary voice as a street singer on St. George Street, until the city banned singers. Then a group of admirers paid to produce a tape of her singing, which she sold at many performances around the state of “Black History Through Song” and a one-woman show where she portrayed the indomitable Harriet Tubman of the Underground Railroad. In earlier years she had been a member of the famous Salt and Pepper Gospel Choir that performed at Yale University and on the steps of the nation’s Capital in Washington, D.C. Returning to the Ancient City at a time when there was still what she often called “an invisible vapor” left over from the age of racial segregation, she launched a personal effort against it by greeting everyone — black and white — as she traversed the town on the three-wheeled vehicle, which she variously described as her “Rolls Royce” or “Lamborghini.” “HELLO, DARLING” was the greeting broadcast in a booming voice from the birdlike, grey-haired great grandmother. The force of her personality and goodwill proved irresistible and, without the worldly benefits of wealth or power, she managed to become a significant force in the community. Her picture regularly graced the front pages of newspapers and magazines, and she appeared in many films about St. Augustine. She was a founder of ACCORD, the organization formed in 2002 to honor the participants in the civil rights movement in St. Augustine. She also served as vice president of the Fort Mose Historical Society, which promoted the important story of the pioneer free black community dating back to 1738 that formed the northern defense of St. Augustine in Spanish colonial times. For many years she sponsored Christmas Caroling, and established a foundation to help students from homeless families. In 2016, she promoted a celebration of the 150th anniversary of Lincolnville. She had been honored most recently by being selected to light the city Christmas tree in the plaza. Family members stood in for her, as her health did not permit her to appear. It would take an encyclopedia to list all of the community events where she was a major speaker or organizer or singer. Suffice it to say that she was an inspiration to all, encouraging everyone to do their best — and more. I was just thinking the other day that Carrie’s first St. Augustine home was in a building, no longer standing, at the corner of Bravo and Weeden streets at the northern end of Lincolnville. She was living almost in the backyard of that site, at the corner of Bravo and Riberia streets in 2016 when Hurricane Michael hit and inundated her house with several feet of water. Given the increase of real estate prices, she was unable to find any affordable nearby place to live, and spent her last two years — the legendary “Voice of Lincolnville” — living in St. Augustine Shores. How appropriate if the city would rename Bravo Street, where she had her first and last Lincolnville homes, in honor of our beloved Carrie Johnson! Please pass the word on to those who knew and loved her, that Carrie has now taken her voice to heaven. Opinion editor’s note: David Nolan is Lincolnville’s most prolific and intimate historian — and among its more valuable friends in terms of the recognition and respect his interest has lent to an almost forgotten city within one of the nation’s more storied ones. Miss Carrie wore her rearing well — for so many souls to touch and to hear. Carrie Johns stands in the front yard of her home. The streets of St. Augustine and the halls of its convalescent homes will be a little quieter this holiday season. Carrie Johnson, “The Voice of Lincolnville” and the organizer of the Lincolnville Community Christmas Caroling tradition, died Tuesday morning. Johnson, or “Miss Carrie” as she was known to most, is perhaps best remembered for her “Hi, Darling” greeting that she offered for years as she rode the streets of Lincolnville on her adult-sized tricycle. Certainly everyone who spoke with The Record upon news of Johnson’s death remembered it. “That I think, more so than anything, has stuck with a lot of people,” Johnson’s daughter, Carrie McCrary, shared. It was something that she said she thought exemplified her mother’s “core nature” of love. “She loved freely,” the daughter said. Upon receiving news that her mother’s health was failing, McCrary, who lives out of town, said she came to visit as did other family members who lived out of the area. Johnson, she said, was scheduled to throw the switch earlier this month for Light Up! Night, the kickoff for the city’s annual Night of Lights display, but she was too weak to make it. Family members stepped in to do the honors for her, but her absence was likely conspicuous for many who had come to equate her face with holiday cheer in downtown St. Augustine. For more than 20 years Johnson, with the help of others, would organize carolers to visit the city’s nursing and convalescent homes. It’s why St. Augustine Police Chief Barry Fox and his department honored her last year with a surprise greeting in the plaza as Johnson and her troupe of well-wishers made the rounds on one of the red St. Augustine Sightseeing Trains for their annual caroling effort. “I just wanted to let her know how much the department loved her,” Fox said on Tuesday. Johnson, he said, was among the first people he got to know in the Lincolnville neighborhood in the early years of his career patrolling the downtown area. “Miss Carrie has always been very near and dear to me,” he said. She was to plenty of others, too, likely a product of that generous and loving spirit that McCrary spoke of. 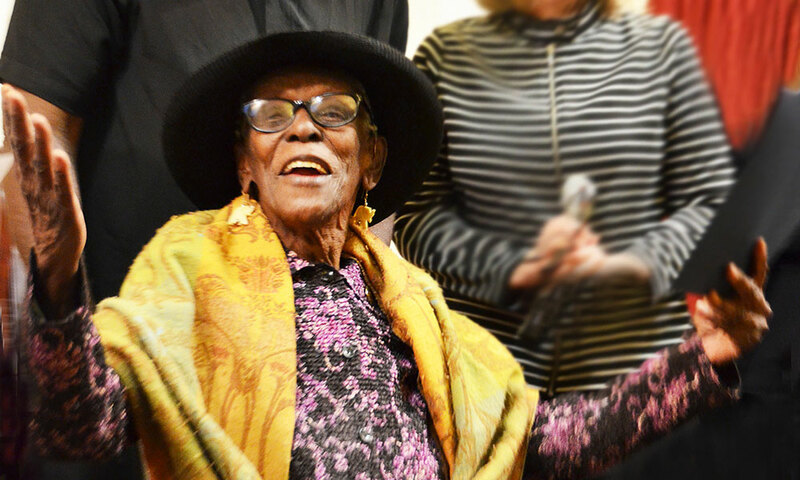 A 2015 article in The Record, after she was selected as one of that year’s “10 Who Make a Difference,” noted that not only did Johnson organize the carolers, she also founded Miss Carrie’s Foundation for Homeless Students, to provide resources for the youngest of the county’s most vulnerable residents and was on the planning committee for the Lincolnville 150th anniversary celebration. “She put the ‘saint’ in St. Augustine,” he said. "In spite of her passing, it's a time for rejoicing because Momma would not want people to be sad." With those words, Carrie McCrary characterized her mother, Carrie Johnson, who held the sentimental title, “St. Augustine’s Sweetheart”. Johnson passed away Tuesday morning at the age of 83 after a battle with lung cancer. “She defies categorization, she didn’t have a resume,” said St. Augustine mayor Nancy Shaver Tuesday night. To that point, Carrie Johnson never held office, nor even an official title in her life, according to her family. But if the value of a life can be measured in nicknames, Johnson – perhaps best known as “Miss Carrie” and “The Voice of Lincolnville” – indeed stands above most. She accomplished much without need of political power. “The Accord Freedom Trail, the Lincolnville Museum and Cultural Center,” Mayor Shaver noted as just some of Johnson’s devotions. 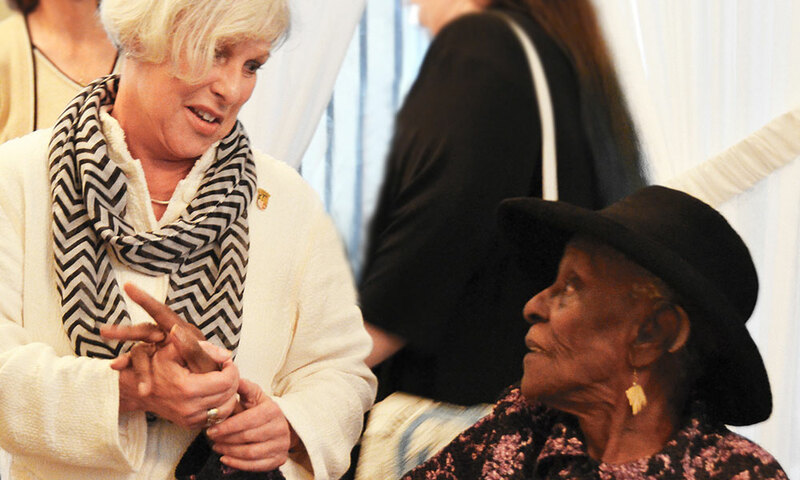 “Miss Carrie was a part of the founding of [the Accord Freedom Trail],” which commemorates participants in the Civil Rights Movement, so much of which was rooted in her beloved Lincolnville neighborhood of St. Augustine. But those who knew Johnson best say she was not strident in striking down racism, instead choosing to defeat it the only way she saw fit. And always with a consistent demeanor, according to Mayor Shaver, who also calls Lincolnville home. As much as Johnson decried injustice, friends say they’ll remember her for singing rejoice. “The Christmas caroling thing with the Red Trains in town, I did that with her for seven years,” St. Augustine Police officer Mark Samson recalled. Even her means of getting around town – a distinctive tricycle she called her “Lambourghini,” was known ubiquitously. “She would ride her bicycle – tricycle, actually – all day, every day, around,” said Samson’s fellow St. Augustine Police officer Dee Brown. Mayor Shaver told First Coast News you could not live in Lincolnville without seeing Johnson and her precious ride. “She held a biblical truth in her being, and it’s how she walked the streets, or actually rode the streets on her tricycle,” the mayor said. Even police, whose job it is to serve and protect, say Johnson was an invaluable resource who could easily have been considered an honorary officer. “If we needed anything in the community, she was the person to go to,” Brown asserted. The same warmth she used to change society, they say, is the warmth with which Johnson greeted every person she met. “Everybody was darling, sweetheart, or baby, and she meant it,” daughter Carrie McCrary described her mother’s disposition. “Yeah, she meant that!,” her sister June agreed. “Hello darling! … Bye!,” the mayor affected her best impression with a gentle southern lilt. And, through it all, Carrie Johnson – Miss Carrie, St. Augustine’s Sweetheart, and the Voice of Lincolnville – achieved so much by way of so much modesty. “An ordinary woman that lived an extraordinary life,” Brown concluded. The cities of St. Augustine and St. Augustine Beach and St. Johns County are blessed to have elected the incoming chair of the Florida State Senate Appropriations Subcommittee on Transportation, Tourism and Economic Development. 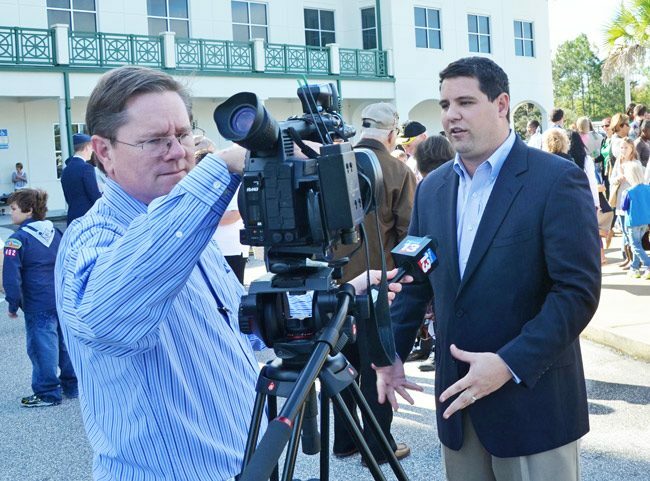 Appointment just made by incoming State Senate President -- State Senator Travis Hutson (R-Hutson Companies), a developer scion, will chair the Florida State Senate Appropriations Subcommittee on Transportation, Tourism and Economic Development. Transportation, tourism and economic development are three key concerns here. Overbuilding of large developments, proliferation of ill-planned transportation and infrastructure have clogged our roads and decreased our quality of life. Thanks to other-directed political boss, developer puppet Sheriff DAVID SHOAR, Republican Lord of All He Surveys, a legend in his own mind. Our paradise is being converted into a series of Leviathan Levittowns. Mobility is lacking because of corporate lawyers dictating the terms of our distorted development patterns. The lack of decent mass transit in St. Johns County is the direct and proximate result of one-party rule. Caught in bad traffic, without affordable transit -- thank our all-Republican local political machine and bumptious bum bamboozling Boss Hogg, Sheriff DAVID SHOAR, et al. It can also help with line items to help us attract good jobs at good wages with fast internet service, as Chattanooga did. We can make our tourist economy world class with creation of a St. Augustine National Historical Park and National Seashore, proposed in 1939 by Mayor Walter Fraser, U.S. Senator Claude Pepper and Charles Andrews and Rep. Joseph Hendricks. There is no substitute. Florida Senate President Bill Galvano on Monday announced committee assignments for the 40 state senators, including three who represent portions of Volusia and Flagler counties. Sen. David Simmons, R-Altamonte Springs, who will serve as Senate President Pro Tempore, will chair the Judiciary Committee and serve on the Appropriations, Community Affairs, Education and Rules committees. Sen. Travis Hutson, R-St. Augustine, will sit on the Appropriations, Judiciary, Rules, Commerce and Tourism, Infrastructure and Security and Innovation, Industry and Technology committees. He will chair the Appropriations Subcommittee on Transportation, Tourism and Economic Development. Sen. Tom Wright, R-New Smyrna Beach, will chair the Military and Veterans Affairs and Space Committee. He’ll also serve on the Commerce and Tourism, Environment and Natural Resources, Children, Families and Elder Affairs and Joint Administrative Procedures committees.